It’s this time of the year again! No, Christmas isn’t here yet but the time for running around the shops like crazy while trying to figure out what our loved ones might appreciate under the Christmas tree has already hit us for sure. Shopping online is a real life saver for anyone who isn’t keen on being pushed from one store to another. Luckily, we don’t have any queues at the checkout and no one will be pushed aside while browsing the collections. To make this year’s gift giving even more enjoyable, we’ve come up with some awesome ideas for the perfect gift – grab yourself a mug of mulled wine and read on. An advent calendar doesn’t necessarily have to ruin your diet. There are so many options that don’t include sweets. 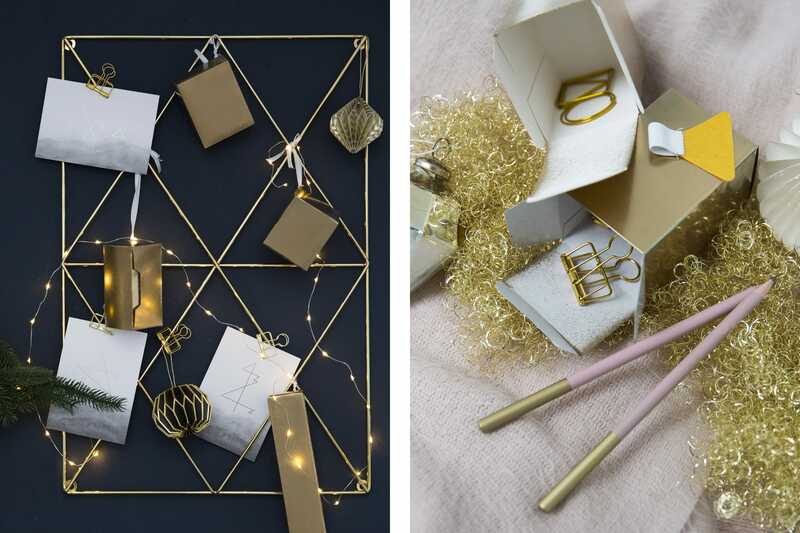 For a golden surprise, you can include Paper Clips, Document Clips and a Pen Loop to some of the smaller boxes or go a bit bigger and wrap up some gorgeous Pencils. If gold and pink is not your first choice, you can always choose another color from the Dark Blue, Black & White or the Rose Collection! 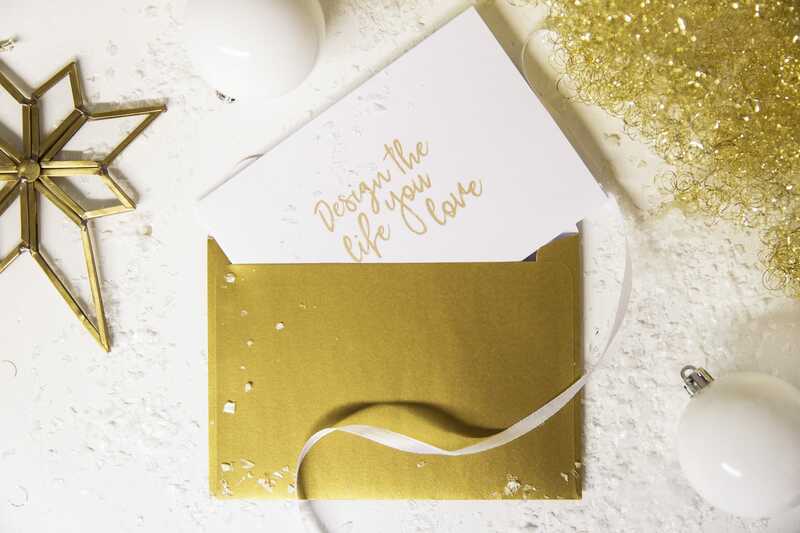 For that extra Christmas feeling, display your little boxes on a golden Wall Grid and decorate with some festive postcards. 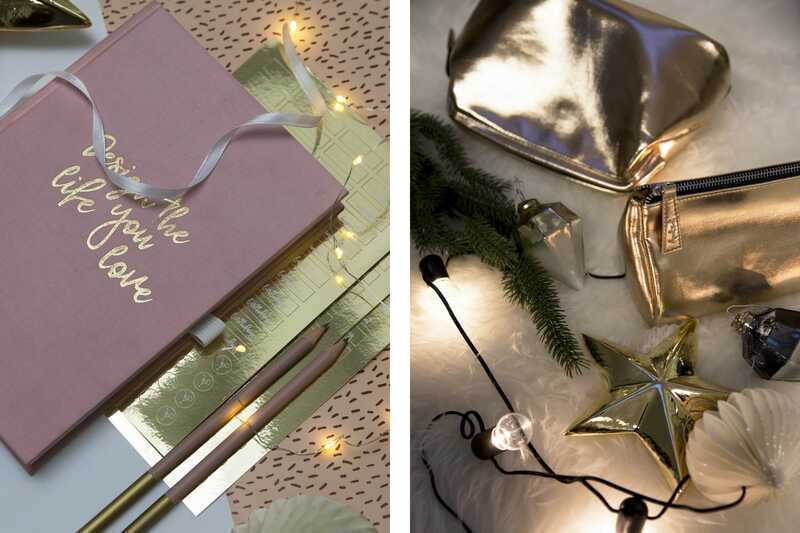 Fairy lights and some extra decor make it the perfect advent calendar for all lovers of shiny things. Oh, and don’t forget to include some of that chocolate. It’s almost Christmas after all! If you are on the hunt for a very personal gift that suits your loved ones perfectly, these gems might be just the way to go. 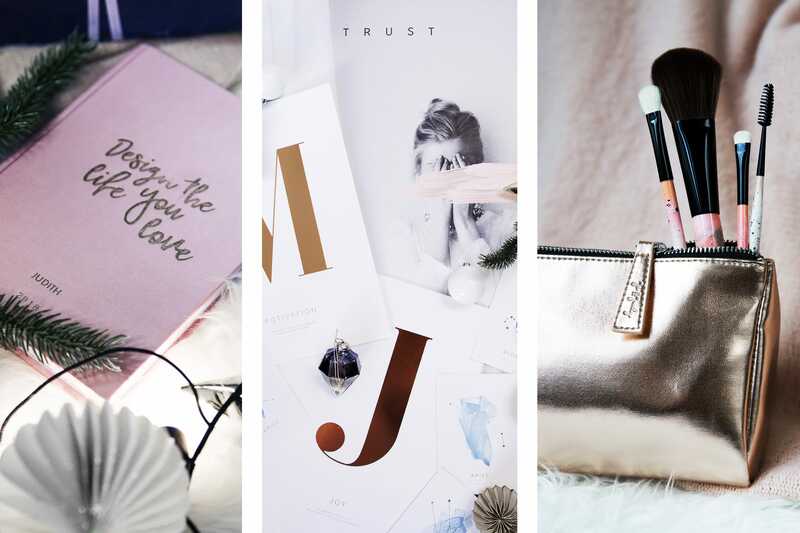 A personalized planner with the name, initials of a word that describes your relationship will be an eyecatcher under the Christmas tree and a real organization pro in 2019. If you’d rather gift some wall wart this Christmas, how about a Letter Print with the initials or definitions that describes the gift taker and you best? The gorgeous prints bring lots of inspiration and rose gold glamour to any wall. Soft colors and a meaningful message – gift the brand new JO & JUDY posters for a gentle appreciation of your friendship and connection. You can’t decide which of the products your loved ones would be the most excited about? You are running late and need something right now? Go the easy way and gift a JO & JUDY voucher. It will be send to you via mail immediately after purchasing from the shop and is available for different budgets. 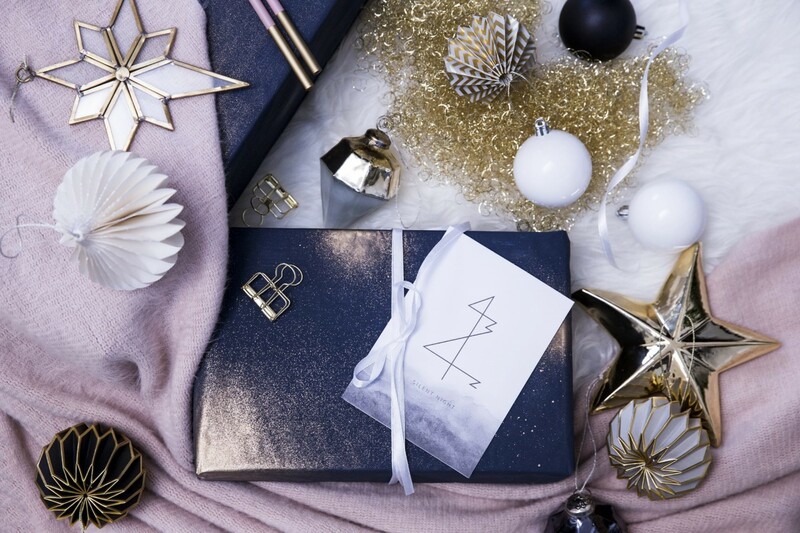 If you are not really the biggest fan of wrapping presents, you’ll be happy to hear that all of our products are shipped in a gorgeous wrapping and a matching box. We do not include the invoice inside of the boxes, so you can even ship the present right to your friend’s, family’s or lover’s doorstep!